If you are seeking facts about Antarctica then you have come to the right place. This continent gets its name from the Greek word which means “opposite to the north,” which is very literal given its location directly across the globe from the North Pole (Arctic). The existence of Antarctica was only speculated by scientists and academics until 1820 when it was spotted during an exploration of the area. The infamous South Pole is found on the continent of Antarctica and was discovered in 1911. Each of these links will jump you to that specific section of facts. 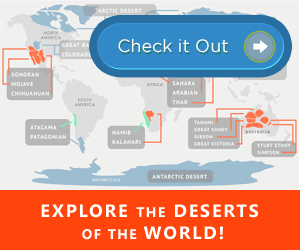 Enjoy exploring the continental facts of Antarctica! Antarctica is covered in ice sheets. In the event, that the climate was to warm up to the point where the ice sheets melted, this would raise the level of the oceans by 200 ft. (60m) across the globe. Antarctica has the highest average elevation of any continent on earth. The continent is neighbored on all sides by the Southern Ocean. Antarctica, due to the weight of all the ice present on land, is pressed deeper into the earth. The actual non-ice land mass that is Antarctica is pushed over 1,600ft (500m) into the earth. If that ice was to melt, it would slowly rebound over thousands of years. 90% of all the ice on earth is found in Antarctica and 70% of all the fresh water. This comprises approximately 30 million cubic kilometers (6,810,622,337,000,000,000 gallons) of ice. Less than 5% of Antarctica is exposed (not covered in ice sheets). Most of the continent is covered in ice that is over 1 mile (1.6 kilometers) deep. Antarctica is a very large land mass. It is bigger than the European Continent and twice the size of Australia. The continent of Antarctica is coveted for its meteorites. The white backdrop of ice and snow makes it much easier to find meteorites. In additional there is very little plant life to hide them as well. During winter, the continent of Antarctica nearly doubles in size as sea ice begins to form around the shorelines. This ice forms and then melts each year as the seasons change. Antarctica is believed to be responsible for one of the largest icebergs on record. In the year 2000, a gigantic piece of ice the size of Delaware (United States) broke off of the Ross ice shelf. It had a surface area of over 4,000 sq mi (11,000 sq km). Even though Antarctica holds 70% of the fresh water on the planet in the form of ice, it is still considered a desert region (arctic desert to be more specific) as it only receives less than 6.5 inches or (166mm) of rain each year. Seasons in Antarctica are the opposite of most places on Earth. Summer falls during the months of October to February while winter is in March to September. This continent is the driest, highest, most windy, and coldest of any other. Antarctica has winds that will reach over 180 mph (300 km per hour) on a consistent basis. There are areas of Antarctica that are so comparable to those on the planet of Mars that NASA used these areas to test equipment for space missions. The average March to September (winter) temperature is -60°C (-76°F). The average October to February (summer) temperature is -31°C (-23°F). The record low temperature in Antarctica is – 89.6°C (-129°F). The biggest dangers to humans in Antarctica, aside from the cold temperatures, is not what you would think. Fire is extremely dangerous in Antarctica due to the very dry conditions. It is almost impossible to stop a fire. The journey a snowflake takes from falling onto the surface of Antarctica to when it slowly flows across the continent and drops off to become a iceberg is over 100,000 years long. Antarctica was not always a cold, windy, desert. If you were to travel back 50 million years ago, you would find green forests, more diverse land animals, and many more birds. Fossils have been recovered in Antarctica to prove that this continent was once very lush with animal and plant life. The cold, windy, and overall harsh climate of Antarctica keep wildlife to a minimum. However, there are a limited amount of insects and birds that call the continent home. Antarctica is the only continent on earth that does not have an indigenous ant species. There are several marine based animals that live in Antarctica such as seabirds, penguins, seals, squid, and whales. Most animals that survive in Antarctica share a common characteristic. They have thick layers of blubber (insulated fat) to keep warm. Some species have several inches of blubber to survive. Land wildlife is very rare in Antarctica. The largest land based creature is actually an insect. The wingless midge is only a half an inch long (1.5cm). Only one warm blooded animal remains year round in Antarctica. The emperor penguin stick around through the most unforgiving winter on Earth to care for their young without food! Antarctica’s neighboring oceans are home to the most cold adapted animals on Earth. There are several species of fish that live in the waters near Antarctica that thrive in 0°C water. The continent of Antarctica happens to be the southern-most continent in the world. This of course means you can also find the south Pole (southern most point on the planet) there. The continent is the largest wilderness area on the planet. The largest hole in the ozone layer falls over Antarctica which means more radiation reaches this continent than any other. You will not find any Eskimos or Polar Bears in Antarctica, those are found on the other side of the world in the Arctic. Antarctica has a surface area of more than 5 million square miles (13 million sq km). The first humans to make it Antarctica did so in 1820 when Fabian Gottlieb von Bellingshausen and Mikhail Lazarev explored the area. However it was the American John Davis who is believe to be the first to set foot on the continent in 1821. Antarctica is mostly a haven for researchers and other scientific endeavors. The only commercially viable industry found on the continent is fishing. There are also 50,000 thousand tourists that make their way to the continent each year. 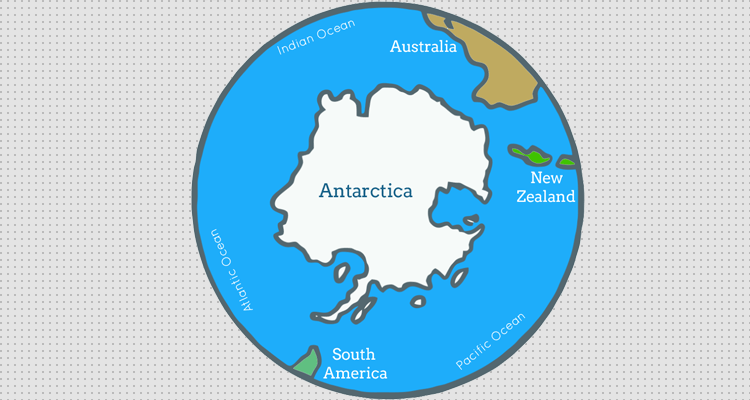 The countries of Argentina, Australia, Chile, United Kingdom, Norway, France, and New Zealand have made claims to the continent of Antarctica. Unsurprisingly, many countries do not recognize this. The Antarctic Treaty was created in light of this fact which does not grant any country claim to the continent so it can continue to be used for science by many countries across the world. The unique dry climate and slow-moving ice in Antarctica allow scientists to cut out pieces of ice called “cores”. They are removed as a tube of ice that is essentially a time capsule allowing scientist to look at climate, geologic occurrences, pollution, and much more over thousands of years. There is a sporting event held on Antarctic every year called the Antarctic Ice Marathon. It is a 62 mile (100km) run across a stretch of ice near the South Pole. This even hosts a few dozen cold weather loving runners from countries across the globe.